The most discussed topic these days in Retail circles in India is the impending IPO of the company that runs the Cafe Coffee Day chain of stores. The holding company, Coffee Day Enterprises is planning to raise ₹1,150 Crores from the Indian Stock Market for which Draft Herring Prospectus has been submitted recently. The company is among the few of its peers such as The Future Group, Shoppers Stop, Trent(Tata's) and Dominos (Jubiliant Organosys) who have gone public with the companies. CDE plans to utilise the money raised for paring debts and for expansion almost on an equal basis. The company started out renting its premises for Internet enthusiasts to browse in 1996 while also encouraging them to buy a good cup of Cappuccino, coffee that is prepared and presented in the Italian style for 5 times the price of a normal cup of coffee. Very soon, the company decided to change its strategy for Internet to consumer and positioned itself as a place for conversations and more. The rest is history. A lot happens over Coffee, is not just the tag line for CCd but also something that is real. 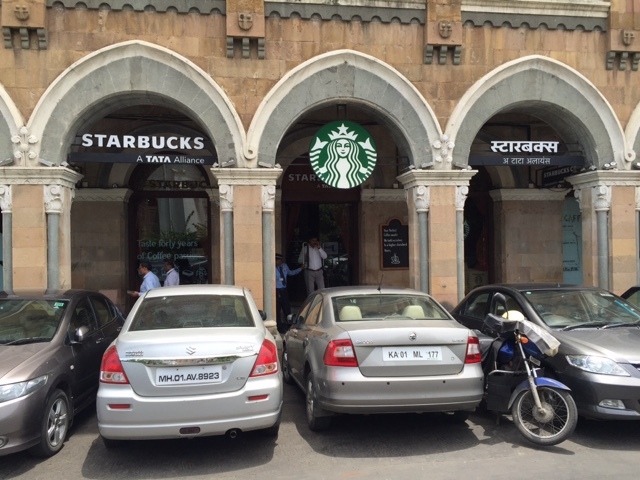 A lot of things get done at cafe similar to CCd such as Costa, Barista, Coffee Bean and Tea Leaf, and of course at Starbucks, the world's largest cafe chain which entered India in 2012 in a joint venture with Tata's. 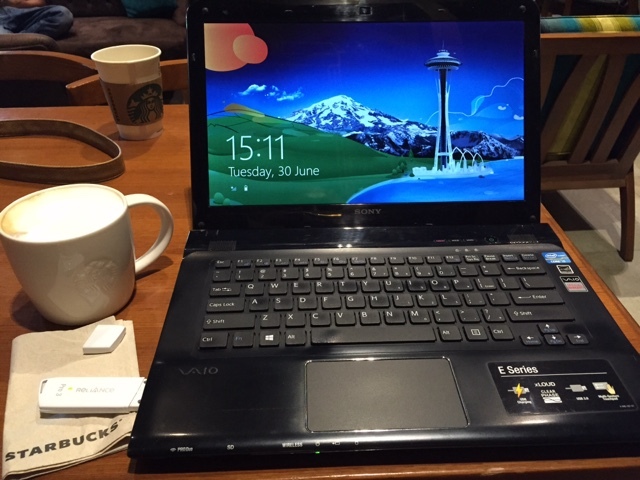 I was at a Starbucks for over 4 hours yesterday, which included a one hour meeting, a half an hour call and rest of the time on Mails and office work. During those four hours, not more than two tables were empty for more than 5 mins. The cafe was running at full occupancy. There were people working on their Macs and other laptops, a few who were reading stuff on their books and devices and one man sitting next to me who watched a full movie! With an Investment of over ₹1 crore in interiors and hefty rents for locations, this SBUX outlet does a Sale of about ₹40-50 Lakhs a month. Compare that with ₹3/5 Lakhs that a CCD would do, albeit with 1/4 th the investment and 50% lesser opex. So, are these cafes really viable in the long term? Cafes are viable in the medium to long term provided they receive continuous and healthy patronage. Keeping aside the Capex and Opex for a moment, the cafes would be profitable not just financially but as a Brand asset in the medium to long term when their occupancy remains high. Consumers walk in to a cafe for the coffee (and food) for only 30%. The rest is for the experience in itself and a peaceful me-only space that one doesn't get at home or workplace. It is far easier to be viable as a single store than as a chain of stores, for Ny format in Retail. Most of the Indian Retailers are bleeding due to unresponsive assets in the form of their stores and high costs of operations including servicing debts. This will change over time with Retailers finding new avenues for their revenues. But what about cafes? CCD took a strategic position to be the nearest cafe in every neighbourhood and that has paid off. There are over 1,400 cafes across four formats in over 250 cities in India apart from a handful of them in Austria and Malaysia. Most of the cafes for CCD are operationally viable and are not seeking money from Corporate anymore. The newer ones face tough competition with the traditional outlets, especially with the changing landscape in the out of home consumption sector. Cafes have always been viable provided you get the fundamentals correct. So, for every Java Green and Barista, there is a SBUX and CCD as examples. As the saying goes, the 120 bucks you paid for the coffee is actually not for the coffee but for the sofa and a/c. With the increasing trend of people working in casual environments, cafes will have a large impact on our lives. Next - probably a Bollywood fil, on how cafes have made or broken marriages! Watch this space.